iPad Mini to get Retina display? | What Hi-Fi? 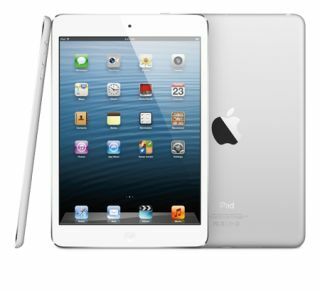 iPad Mini to get Retina display? If the non-Retina screen on the new iPad Mini troubles you, there are rumours that an iPad Mini with Retina display could be on the way. Our sister site Stuff.tv reports that display maker AU Optronics is expecting to manufacture 2048x1536 resolution 7.9in screens for the iPad Mini. That's an impressive 324ppi, even more than the iPad 4's 264ppi screen. Given the emphasis Apple has placed on Retina screens on its other products, and the fact that the current iPad Mini uses the same resolution screen as the older iPad 2, that's perhaps no great surprise. The bad news? If it does happen, the iPad Mini Retina isn't expected on sale until late 2013. Cue another big Apple launch.